From sound effects that come with "KABOOM" and "SQUELCH" text to animated panels and black outlines, Void Bastards offers the ultimate comic book visuals. Void Bastards’ visual art style is unlike anything else released in recent years. 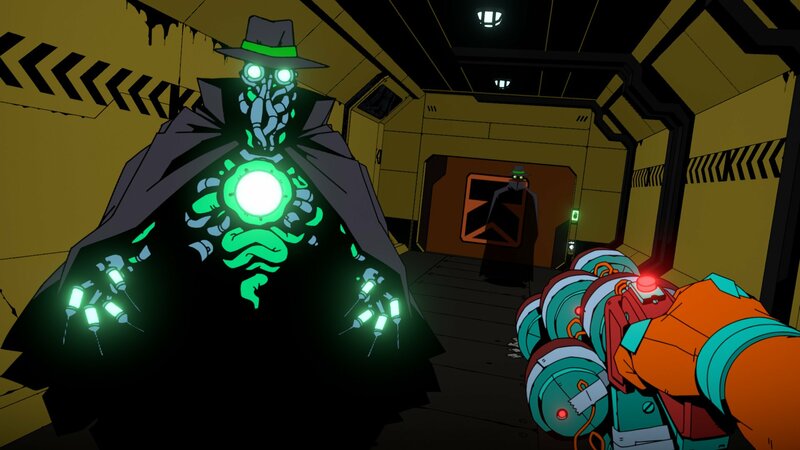 Though your first instinct might be to compare its style to the likes of Borderlands or Crackdown, Void Bastards actually doesn’t use any cel shading for its visuals. 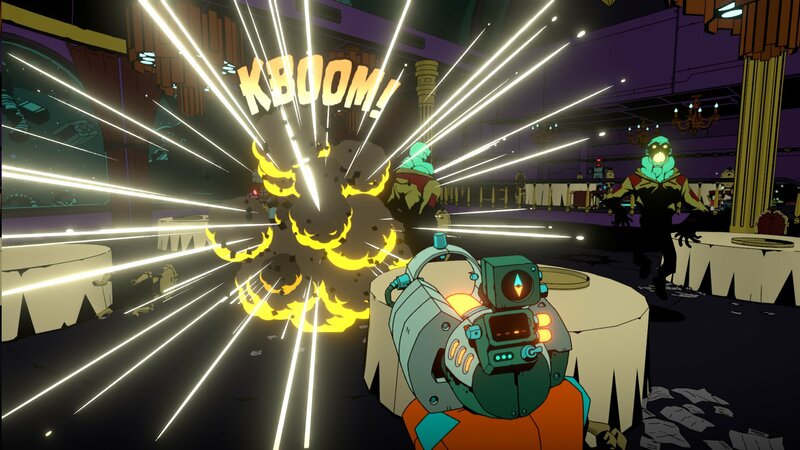 At GDC 2019, Shacknews got to speak with Ben Lee, the Art Direct at Blue Manchu, about cel shading, art styles, and exploring a sci-fi comic book. Lee was quick to correct us about likening Void Bastards’ art style to cel shading. The decision for the art style stemmed from needing to figure out a way to create a game based on the lineage that’s come before it (System Shock, BioShock) without blowing the budget of an indie studio. To the layman, cel shading might appear as a “cheaper” style but it can actually be just as costly as others. Due to his background in comics and animations, Lee naturally shifted toward that style. Blue Manchu took this idea and ran with it. From the way animations pop up in tiles to how sound effects appear as written words, Void Bastards just oozes comic books. There should be no confusion about the fact you are playing and exploring inside a comic book world. Void Bastards' comic book art style is unlike anything out there at the moment. Personally, I’ve not seen this type of comic book styling in years. The last time was likely 2003’s XIII, which utilized a similar comic book style of action. Headshots were punctuated by three quick panels showing a close up of the kill and grenades were coupled with a “BLAM”. It’s good to see another title, some 16 years later, sticking with such a unique style. Though Lee could offer no release date for Void Bastards, he did state that it would be out this year. The main bulk of the game has been finished and the team has shifted into localization and ironing out the kinks. For more information, head over to the Void Bastards website to see more of this incredible art style. The site actually shows Void Bastards drawn up as a comic book, and now I want that, too, along with the game. For the latest news out of GDC 2019, you’re already in the right place.